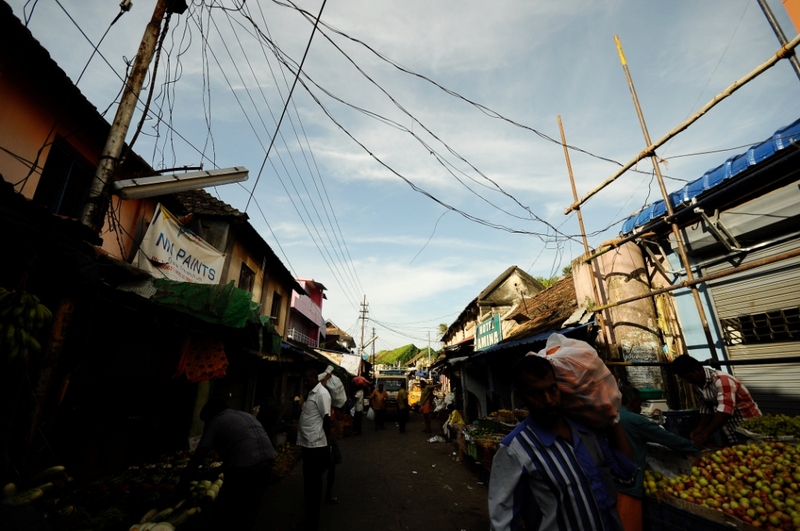 Ideally, the walk along Chalai Bazaar can be made any time of the day. But depending on the time, the moods change in a myriad ways but the energy of the market can be felt all the same. For one to witness the changing moods, walks must be arranged preferably early morning, mid-morning, afternoon and dusk. 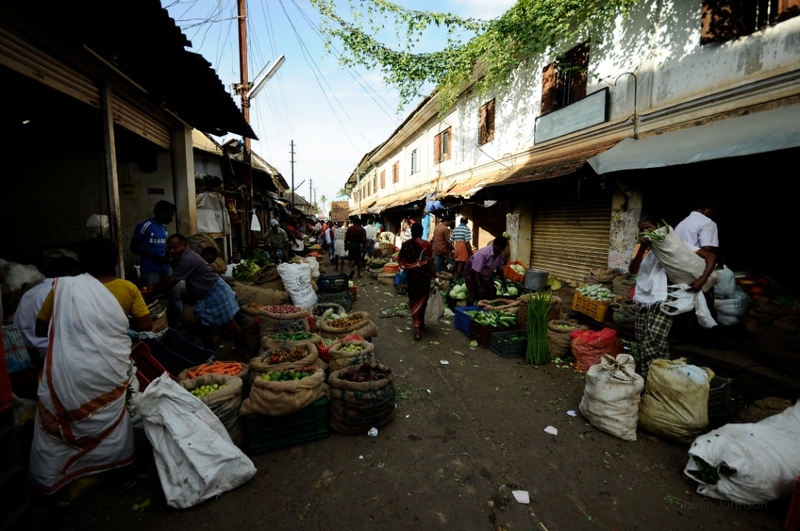 The Chalai Bazaar in Trivandrum may be miles away from the picturesque notions of Kerala, which generally consist of houseboats, Dutch Palaces, or serene strips of coastline. Kovalam Beach, which is about 7 miles from the market, could be a possible exception. The bustling market, however, is equally magical, if not more so in some ways. Even under the oppressive sun of midday, its character and energy are infectious, with motorcycles and trucks honking at full volume as they zip through the seemingly endless road lined with shops on either side. 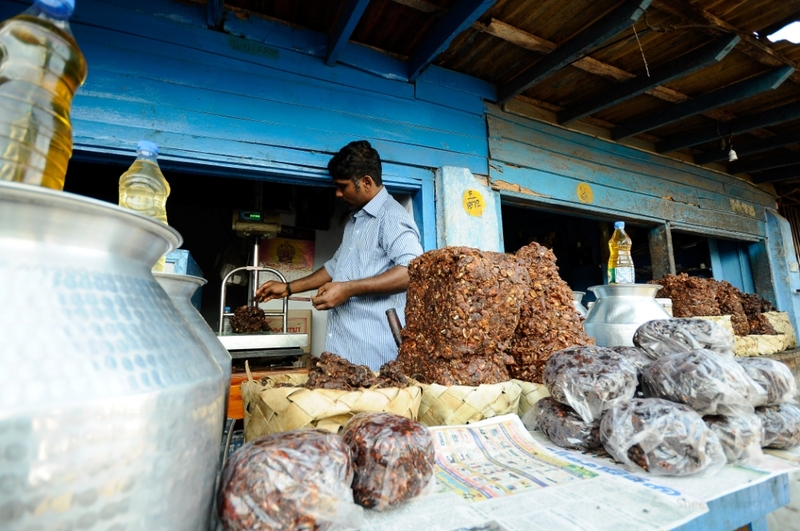 In many ways, the Chalai Bazaar is a place of possibility, not only because almost anything can be found here, but also because visitors inevitably end up finding more than what they had expected. The bazaar is usually accessed from the entrance near the East Fort, within which the famous Sree Padmanabhaswamy Temple is located. East Fort is also the terminal for the city buses. Having alighted one of those buses, one can take a quick stroll through the Gandhi Park with its confusing turnstile entrance and exit. Many times, people in a hurry use both sides of a turnstile resulting in both parties getting stuck. It takes a while for the stakeholders to realise the playful thoughtfulness of the city corporation officials in installing such a contrivance. 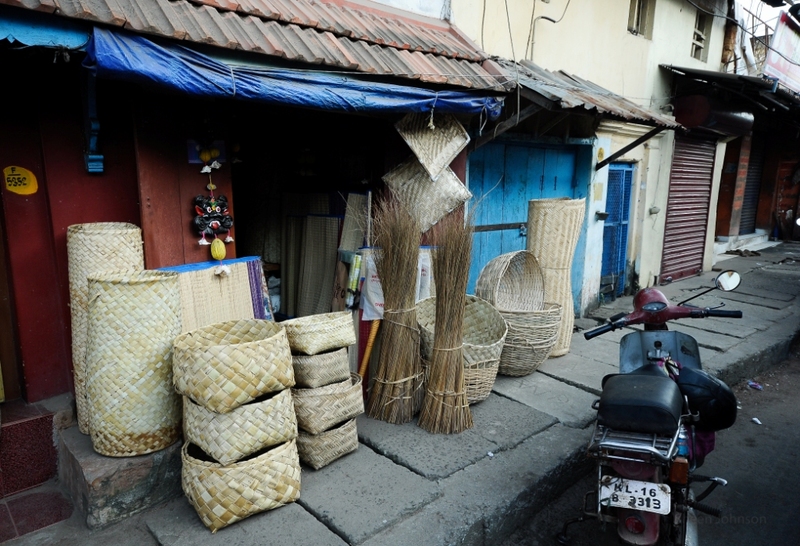 While one can see that textiles and home appliances shops dominate Chalai Market, that could be only the first impression. The soul of the bazaar lies deep inside. No much of alleyways or winding side lanes. 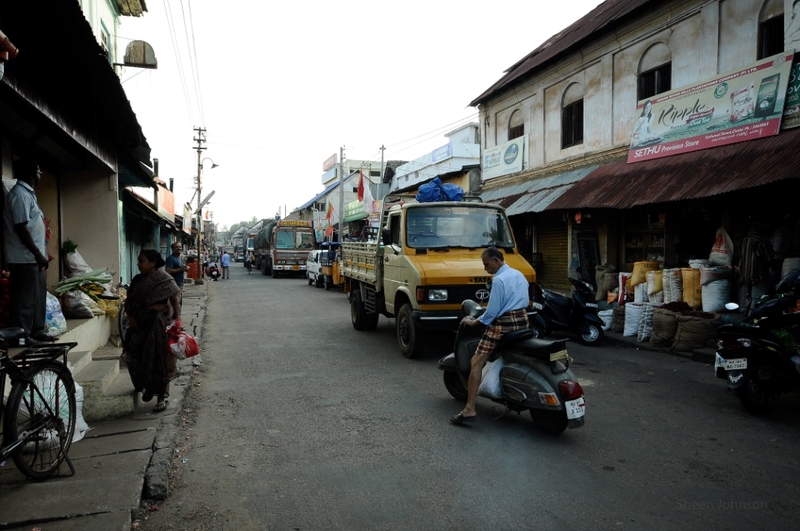 Just following the seemingly endless road could reveal the many charming faces of the bazaar. Fruit vendors, vegetable sellers, florists, stationary and stationery shops, all line up to cater the demands of the discerning buyer. 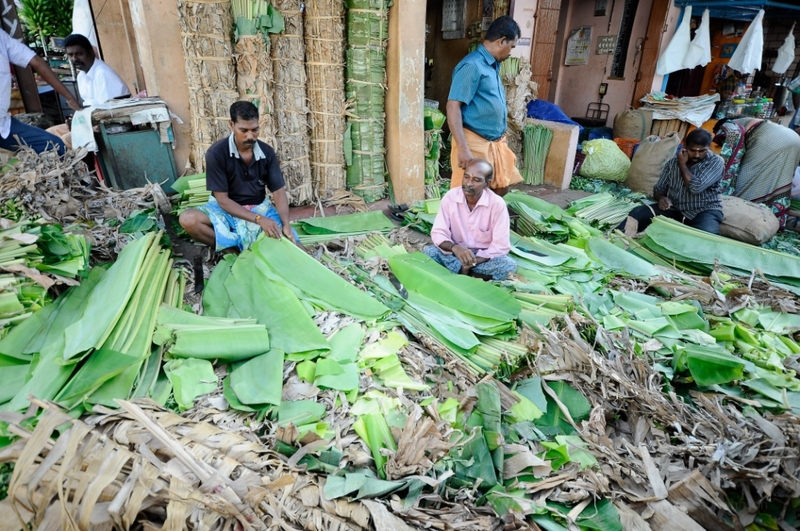 Seasonal festivals indeed has a huge influence on the goods sold. Starting with New Year, Onam, Bakrid, Vishu, Christmas and most importantly the Sabarimala pilgrim season make the shops metamorphose. Presence of Chinese goods are thankfully limited to roadside vendors providing ample opportunity for the local artisans and blacksmiths to thrive. Further down the road, as you pass Arikkada Junction (Rice Shop), the area becomes more specialised zonally. 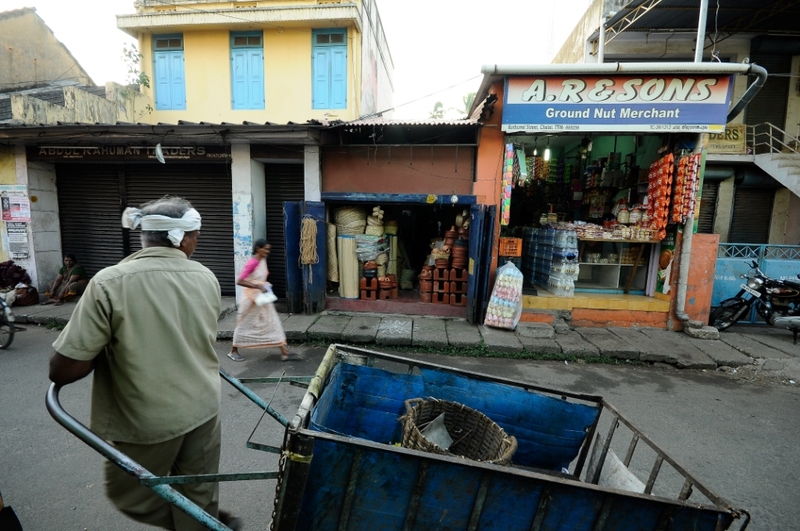 Rice in one lane, vegetables in another, even used scrap can be bought from a third. Managing these lanes needs expertise and knowledge and therefore bringing with you a local (Thirontharamkaran, in slang) becomes a necessity. Trucks from neighbouring state follow their timing. Arrivals start st 3AM with flowers from Thovalai, a small village in the foothills of Western Ghats. Pottery also comes on lorries with National permit, with that majestic brown and white livery. Scattered in between are tea shops that sell, well, tea. Mulaku Bajji, Murukku, Madakkusaan and the most popular Parippu Vada are over before it is made. Bonda and Pazhampori (Vazhakkappam) are fast disappearing or at least not as common as they used to be. Drink from the glass tumbler without the fear of it slipping from your butter fingers. They won’t. The stickiness of sugar ensures necessary adhesiveness as they are rinsed on water over and over again a million times. Never had a single person complained over it nor any Health Inspector made a fuzz. Bonji shops are completely missing as they had gracefully bowed their way out to make space for tetrapacks and cans. Served in rather large glass glasses, they used to come with sugar or sugar syrup. Exotic varieties come with sugar flavoured with roots of Asparagus or Naruneendi. Premium mode comes with a goli soda and extra premium with a soda with crown cap. Additional garnishing includes hand-pasted bananas, pineapples, apples and even the seeds of a plant that swells when in contact with water. A speciality shop, tiny as it is, carries everything a wedding needs-from paper towels to sugar candy and rose water; from kishmish (raisins)to disposable plates. A unique shop that sells ground coffee entices customers to a nearby restaurant for a Filter Coffee and Masala Dosai. In fact, if someone doubts about the owners of these two different establishments be one, no one could blame them. Footwear gives you options-from footpath to Bata. Somewhere between is Thirumurugan, the shop which sells hand-made footwear. These are unbranded and hand made. As competition from China increased, such shops were forced to carry Chinese products also. 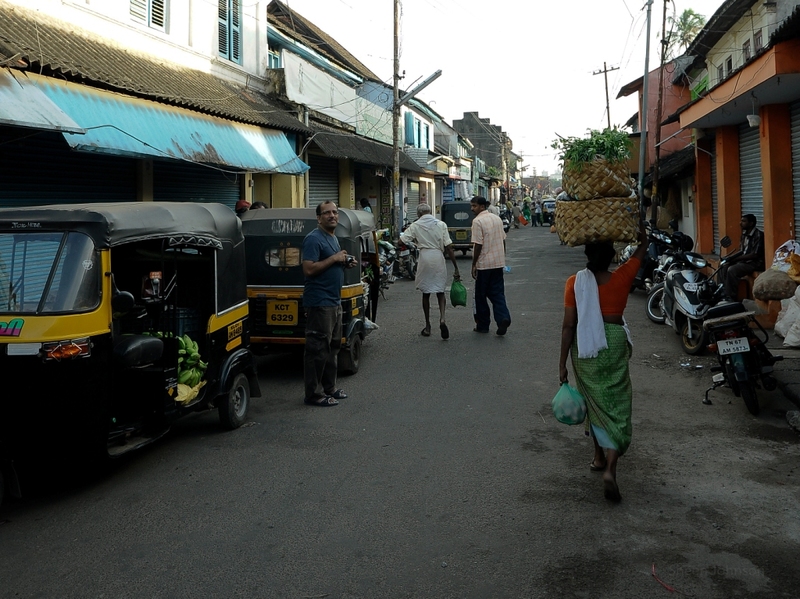 As the other end of the bazaar is reached now, people invariably looks for an ‘auto’. The rick is ubiquitous in the roads of the capital city. With thousands plying on the road, it is still hard to find one when you need one. If you decide to walk or take a bus, a dozen will follow you from no where. Auto-rickshaws are strictly run ‘by the meter’ although it is a good habit to remind the driver of the meter. Rounding off to the nearing INR 5.00 is often accepted with a huge grin and lack of that might invite a growl. But most of the residents have lived enough in the city to ignore the negatives.